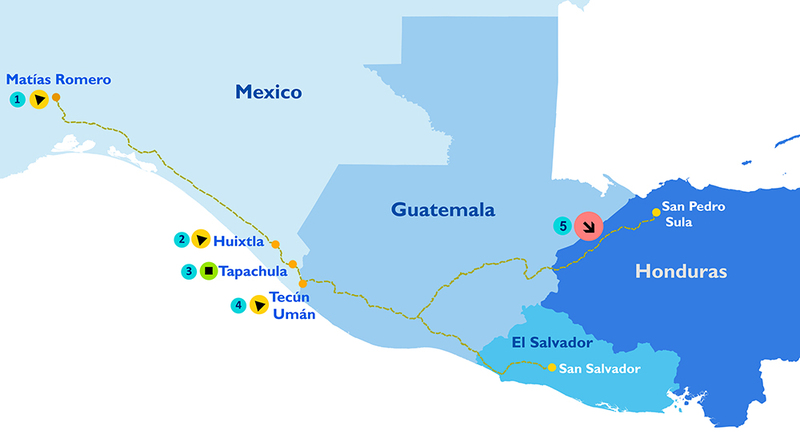 San Jose – The UN Migration Agency, IOM, continues to provide support and assistance to migrants who have joined the migrant caravans crossing Central America and opted to seek asylum in Mexico or return to their countries of origin. Meanwhile, the bulk of the first caravan reached the town of Matías Romero in Oaxaca state yesterday (01/11). An SRE press release estimates that about 4,000 people spent the night there. Exhaustion and the challenges ahead have caused many migrants to opt for voluntary return, offered by Mexican authorities and Honduran consular officials. 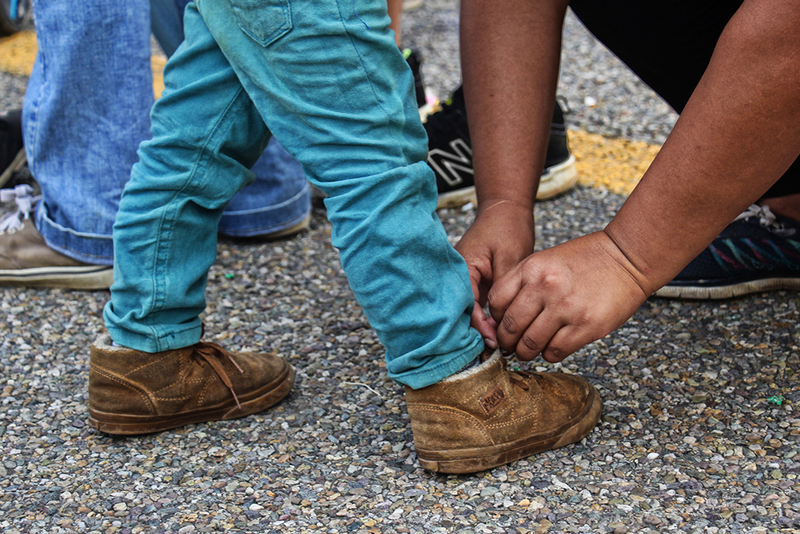 Counting on its Mesoamerica Program funded by the US State Department’s Bureau of Population, Refugees and Migration (PRM), IOM is now also able to provide voluntary return assistance to migrants. At the Honduran border control points of Agua Caliente and Santa Rosa de Copan, between 19 and 24 October, IOM provided 2,141 hygiene kits and basic food supplies to returnees. Migrants are returning to Honduras on buses that keep arriving at a rate of four to six per day while other migrants have returned by planes provided by the Mexican government. 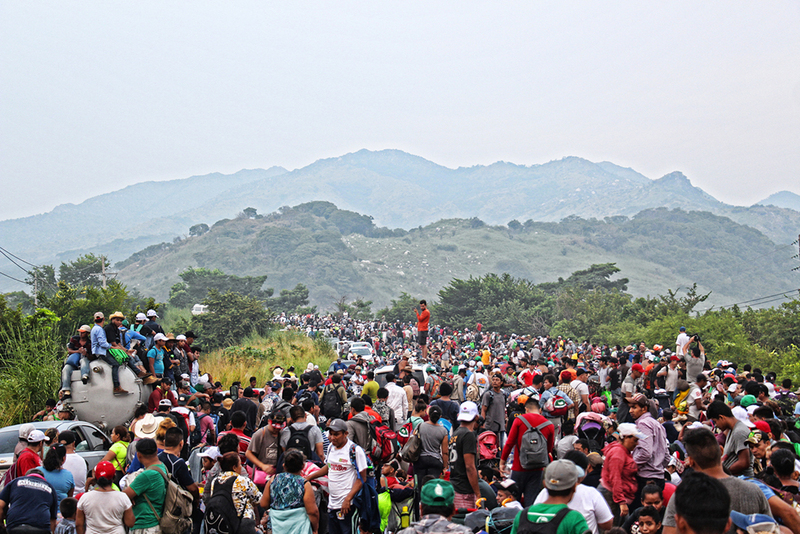 “The caravan phenomenon in Central America is another expression of a migration process that the region has been facing for quite some time,” explains Marcelo Pisani, IOM Regional Director for Central America, North America, and the Caribbean. “It is a mixed migration flow, driven by economic factors, family reunification, violence and the search for international protection, among others. “Nevertheless,” adds Pisani, “we are concerned about the stress and demands that caravans place on the humanitarian community and the asylum systems of receiving countries, which ultimately have limited resources to face this challenge or to properly care for and protect migrants. “The effective protection of human rights for all is based on the respect of processes conveyed in international treaties and national laws, which must be the frame of reference for any action that may be implemented in this situation,” concluded the IOM Regional Director. (1) Around 4,000 migrants from the first caravan spent Thursday night (01/11) at Matías Romero (Oaxaca state, Mexico). (2) A second caravan with some 1,800 Central American migrants rested on Thursday (01/11) in Huixtla (Chiapas state). (3) In a temporary shelter managed by the National Institute for Migration (INM) of Mexico, some 1,500 caminantes (“walkers”) who entered Mexico as part of the caravans are waiting for the Government to define their migratory status. (4) Approximately 1,700 Salvadorans who started trekking last Wednesday following the original Caravan arrived yesterday (01/11) at Tecún Umán (Guatemala). (5) Meanwhile, the Honduran government reported over 6,000 voluntary returnees between October 15 and November 1, including regular former members of the caravans and other migrants. IOM continues to provide support and assistance to migrants who have joined the caravan crossing Central America.